Mighty Mac® sprayers by MacKissic are powerful and versatile sprayers that will allow you to have a professionally looking lawn in less time then it takes to mow. 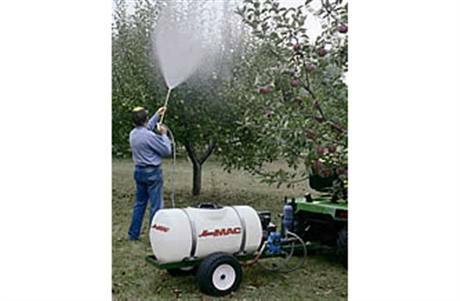 MacKissic sprayers can be used year round. Mighty Mac® sprayers are powerful enough to reach the tops of trees as tall as a three story house, yet can be gentle enough to water flowers with a fine mist. 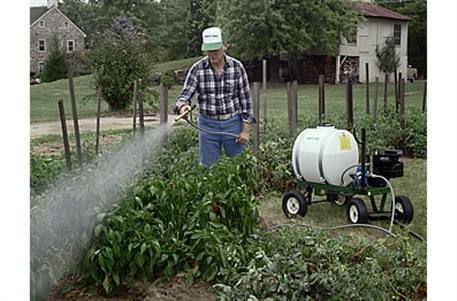 There are two lines of sprayers: battery powered and gas powered. The battery powered sprayers are quiet and lightweight to move around. The gas powered sprayers have more power which allows them to spray farther and spray more material per minute. The sprayers are easy to move about as they attach to a pin hitch with plenty of hose for the user to stay on the vehicle while spraying.